Broadband Tariff: Connecting More than one Phones parallel to Dataone Connection . Connecting More than one Phones parallel to Dataone Connection . As shown below, the multiple phones can be connected using splitters. 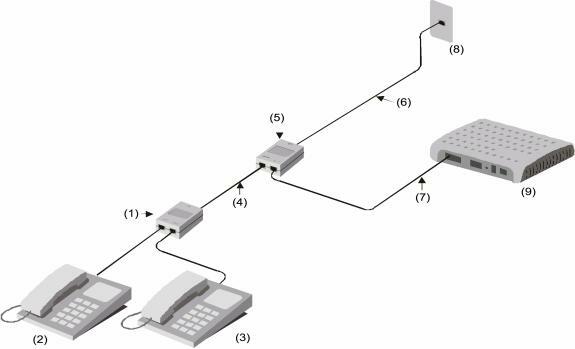 No phone/Fax should be connected before splitter. broadband Connecting More than one Phones parallel to Dataone Connection .